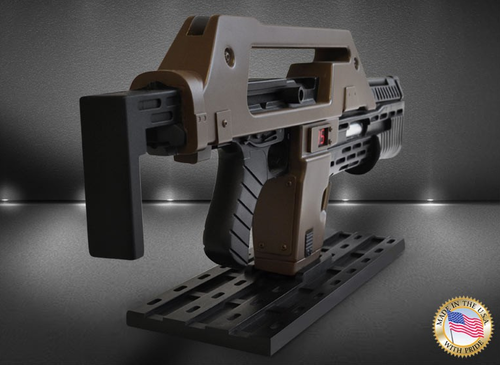 This is an M41A pulse rifle. Ten millimeter with over-and-under thirty millimeter pump action grenade launcher. 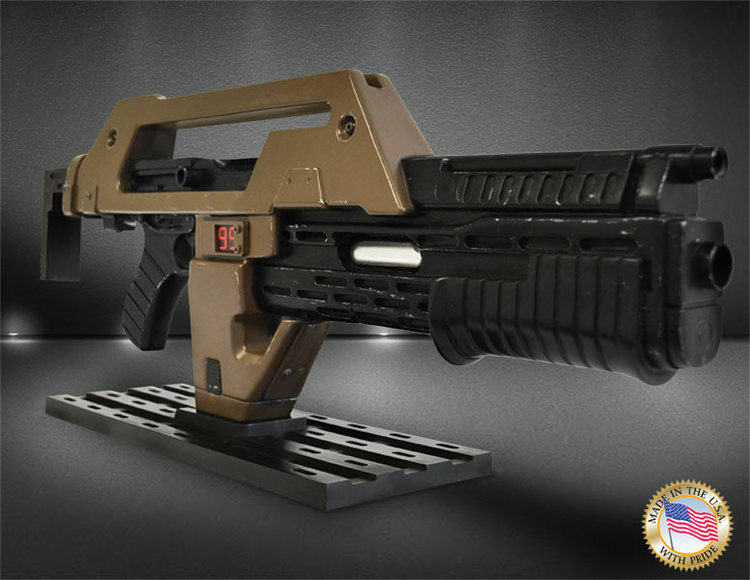 The M41A1 Pulse Rifle is from James Cameron’s iconic Aliens and it is the most recognised and desirable weapon. 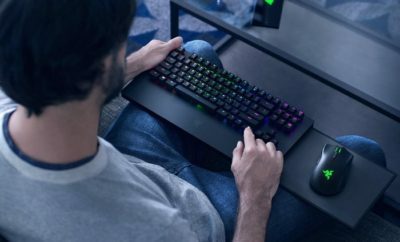 Now you can own one for $500. To create the definitive Pulse Rifle, one of the actual Hero Pulse Rifles was used as reference source. 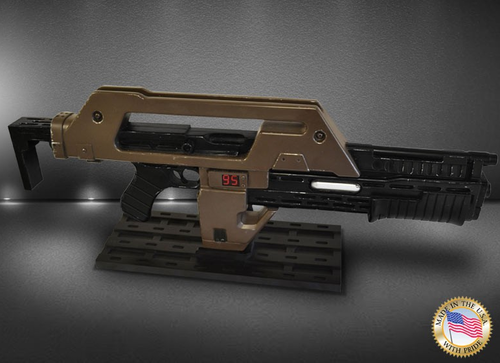 The Hero Pulse Rifle was meticulously measured and photographed, and every detail was painstakingly recreated. 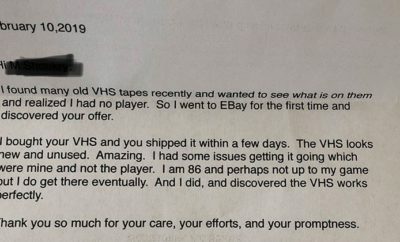 The result is the most accurate Aliens replica ever produced. 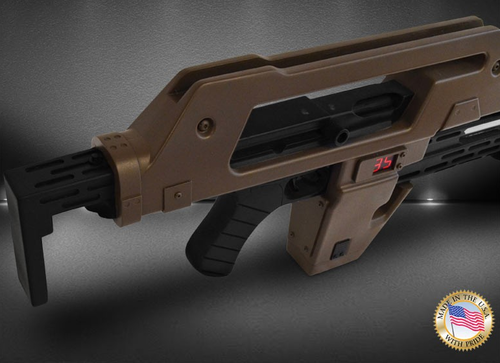 This “Stunt” version Pulse Rifle remains faithful to the ones seen in the movie, with accurate shrouds the same dimensions as the “hero” versions, but has no moving parts and weighs only 5 1/2-pounds, ideal for display or cosplay! These prop replicas comes complete with themed tabletop display stands. There are reinforced metal sling attachment points along with Brown Bess colored shrouds. 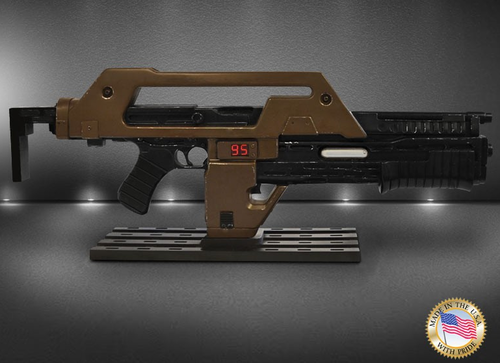 The ammo round counter reads 95 and the Pulse Rifle measures 27-inches long. Limited edition of only 750 pieces worldwide. 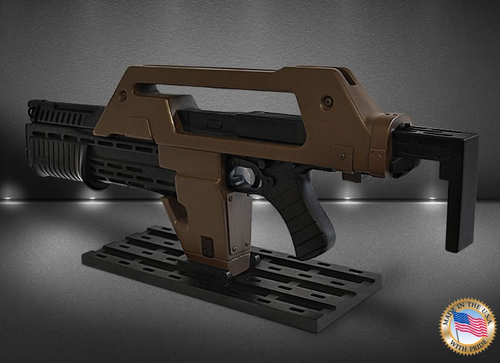 The Pulse Rifle comes to us thanks to Entertainment Earth. You have two of them to choose from. There’s the M41A1 Pulse Rifle Brown Bess Prop Replica and the weathered replica. They will be available in June of 2016.